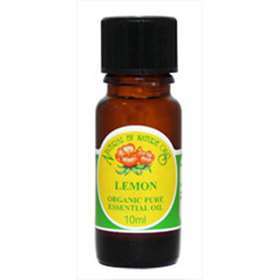 Natural By Nature Oils Lemon Organic Pure Essential Oil 10ml is a certified Organic lemon essential oil. 100% organic Lemon pure essential oil produced from the fruit peel. A crisp, clean and lively aroma. A refreshing and cooling oil which has cleansing and astringent properties. For use in a burner. Do not take internally without medical supervision. Always carefully follow directions when using essential oils.